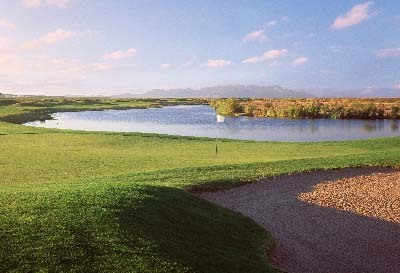 A 27-hole golf oasis at the foothills of the Franklin Mountains in El Paso. we have a knack for producing unforgettable golf events. Family, single, senior and junior membership options. Register to receive exclusive deals—get a free round of golf for your birthday. Steer clear of old-fashioned booking methods. Save time by booking online. Host your next golf event at the foothills of the Franklin Mountains. Log in to find out what amazing online specials we&apos;re offering today. Painted Dunes Desert Golf Course in El Paso, Texas, was designed by architects Ken Dye and Jeffrey Brauer. This spectacular golf course offers 27-holes of championship style golf. Painted Dunes has received accolades from Golf Digest, Texas Golfer, the United States Golf Association (USGA) and the Dallas Morning News as being one of the preeminent golf facilities in Texas and the Southwest. Undulating greens and rolling hills make finesse and good aim imperative on the course. This championship layout rewards those individuals who can manage their golf game around the penalties that lay in wait for the careless golfer. Carved out of the Chihuahan Desert, the East, West and North courses at Painted Dunes sit at the foothills of the Franklin Mountains and offer the scenic beauty of native foliage and desert wildlife.